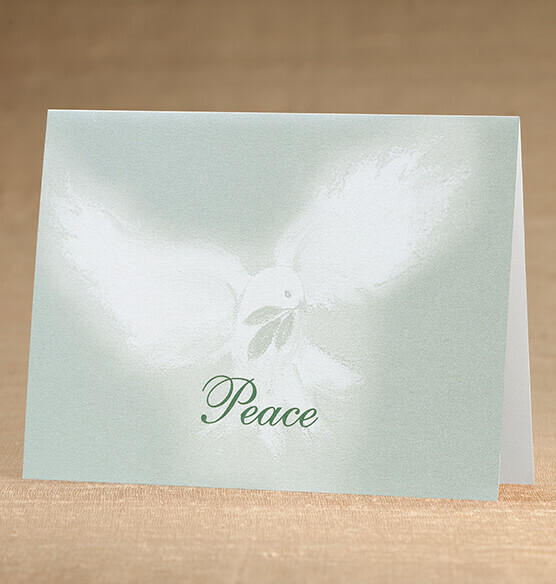 Inspired by the peaceful symbolism of a dove carrying an olive bough, this Peaceful Offering holiday card expresses a message of unity during the holidays. 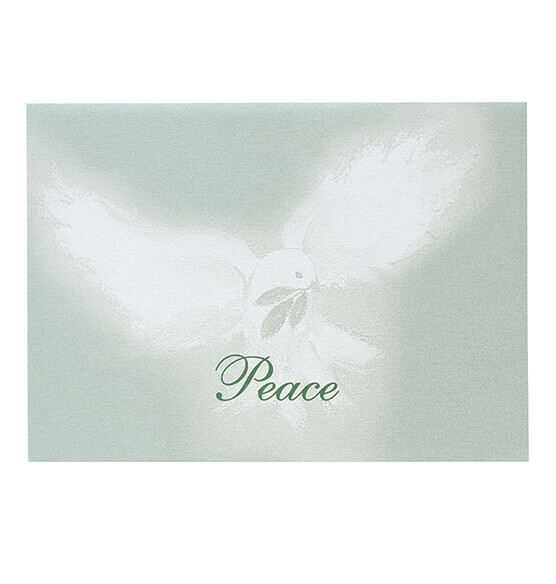 The background and dove are soft silver, with lettering in rich hunter green. Our exclusive Christmas cards are the perfect way to stay in touch and share a special moment with family and friends during the holiday season.